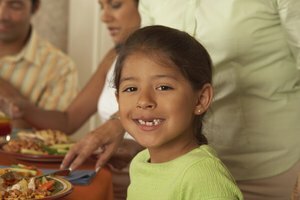 How Long Can I Safely Keep Food in a Warmer? 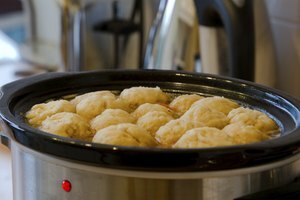 Once food has been thoroughly cooked, you can safely hold it in a warmer, chafing dish, low-temperature oven or slow cooker for several hours. But food left in a warmer for more than two to four hours loses its freshness and starts to dry out. The food has to consistently remain at a temperature above 140 degrees Fahrenheit to keep it safe. When you have a dish of food in some type of warmer, the top portion of the food that's furthest from the heat source cools quickly. Stir the food every 10 or 15 minutes to keep an even temperature throughout. Check the temperature in several places with an instant-read thermometer, making sure everything stays between 140 and 165 degrees Fahrenheit. If you're using a chafing dish with canned fuel, keep an eye on the flame to make sure it stays lit; the fuel usually lasts for two hours. Keep the lid on the warmer to seal in heat and moisture. If the temperature of the food drops below 140 degrees Fahrenheit into the temperature danger zone where bacteria grow, heat it back up in the oven, in the microwave or on the stove. Once it's above 140 degrees Fahrenheit, you can return the food to the warmer. 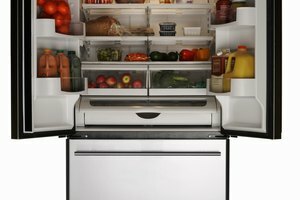 How Long Does It Take for Unrefrigerated Food to Spoil?